Sino Group is a digital marketing expert to help Chinese clients to drive buiness oversea. We are the largest authorized agency of Facebook , Instagram, Google, Youtube, Twitter, LinkedIn and Pinterest in China. 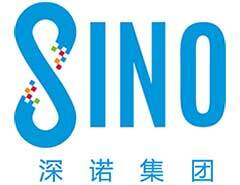 Sino Group has two subsidiaries company, MeetSocial and SinoInteractive. MeetSocial is the largest authorized agency of Facebook in China. MeetSocial offers perfect marketing services on Facebook and Instagram platforms. SinoInteractive customizes Integrated Marketing Strategy to raise brand reputation and enhance sales globalwide for Chinese clients..
Chris Chen, Vice President of SinoInteractive Group, who had been in charge of overseas marketing business in Google New Business Sales Department of Mainland China from 2011 to 2015, joined SinoInteractive since June 2015, with position experience including General Manager of South China Region, General Manager of E-Commerce Department Nationwide, and currently, Vice Present of SinoInteractive Group, responsible for market exploration and business cooperation. With deep familiarity of international market of Chinese mobile internet industry, and professional knowledge of the integration of digital marketing strategies and media channels, Chen has successfully facilitated the business development of a good number of well-known Chinese mobile companies by leading his professional team.